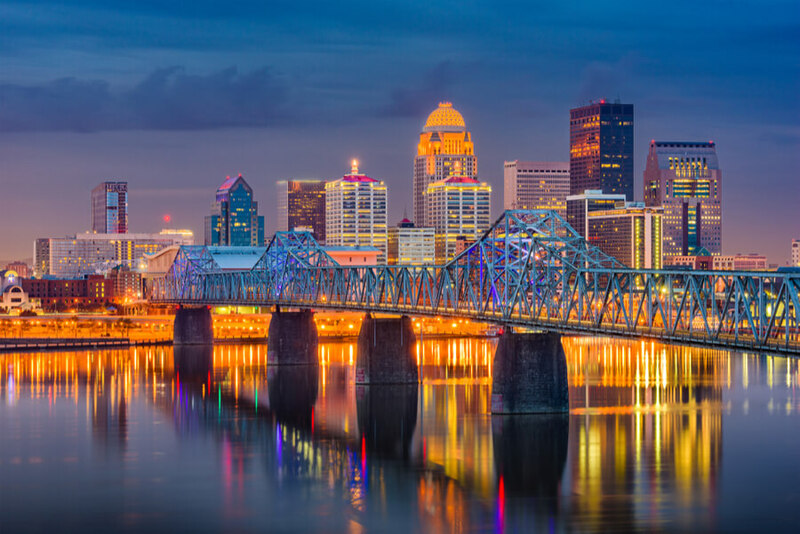 The Healing Place, located in the city of Louisville, Kentucky is a rehab organization which offers treatment to men and women 18 years and older, and from all backgrounds suffering from substance dependence and abuse free of charge. The facility was founded as a medical clinic and homeless shelter for men in 1989 but has transitioned into a fully-functioning rehab that caters to its surrounding communities. The center emphasizes a policy of respect, honesty, diversity, and compassion as the basis of its operations and offers a no-barrier path to recovery. At least 700 men and women are offered clothing, shelter, and food daily and the facility’s recovery program is nationally-recognized. The facility prioritizes individuals from particular Kentucky counties and the second priority is given to Southern Indiana and Kentucky state residents due to the limited accommodation space at the center. More than 5,000 people have completed the recovery program at The Healing Place and the organization boasts of a 75% success rate. The organization has treatment locations for men at Campbellsville and Louisville while the women’s facilities are based in Louisville. Outpatient programs for clients may be preoccupied with work or academic commitments are offered at the Recovery Louisville facility. The organization offers at least 40 12-step meetings and a recovery process which includes detoxification, continuing care, recovery stage, and motivational track. The facility’s co-ed program is able to accommodate up to 105 individuals and the gender-specific treatment facilities can accommodate at least 240 people. Three of the organization’s facilities can accommodate residents in a dorm-style and participants share open rooms and have bunk beds and dressers. The campus for women and children can house up to five children and three women. The buildings have lecture halls, common areas, therapy rooms, and offices. Personal electronic devices, alcohol-containing substances, weapons, and unapproved prescription medication are prohibited at the facility. Clients are advised to bring comfortable clothes, walking and shower shoes, and non-alcoholic personal toiletries. Residents eat in groups in the dining hall which is not far from the rooms. The facility provides meals thrice daily which are cooked by the staff. Healthy and nutritious meals are given priority over taste or style. The facility’s detox program aims to stabilize and detoxify clients from drug and alcohol dependence. The detox program is also used to prepare clients for the long-term residential program and long-lasting recovery. The motivational track program the facility offers usually starts in Safe Haven and goes on for about two weeks. 12-step meetings and numerous classes are an integral part of this program. In the motivational phase which resembles AA and NA meetings, clients are required to motivate and support each other while gaining social skills. The recovery stage (also called Phase 1) is where clients learn to apply the 12 steps theory to their actual lives. The clients are assisted by Peer Mentors and will be involved in classes and assignments. The outpatient program takes place in the Recovery Louisville facility. The program offers a therapeutic setting for clients to recover from substance abuse problems. The center provides treatment for clients in college or clients with other commitments. Cognitive behavior therapy, 12-step programs, and family support are utilized at this level. Treatment and Boarding at The Healing Place are free. No insurance or funding is accepted, including Medicare and Medicaid. The organization provides shelter to homeless people overnight, providing them with food and drinks and giving them a sense of safety. The facility’s main goal is to provide enough space and meals and equipment to be able to accommodate as many people in need as possible and that is how the center has been designed. Free treatment is provided to patients including a bed and meals. It is a very good attraction for clients with no money and no shelter seeking safety and treatment. The facility helps clients to gradually believe in themselves and helps to create an environment that promotes a lifestyle that is recovery-based. The facility also uses methods such as the 12-step program to help aid complete recovery in patients. This facility is a good option for clients with no funds looking to seek treatment as well as find shelter and a sense of safety in a judgment free environment. Jay holds a Master’s of Science degree from the Florida Institute of Technology majoring in Logistics and a Master’s of Science degree from the University of Louisville majoring in social work. Before joining the facility in 1991, he served in US Army for over 20 years holding the position of Lieutenant Colonel. He has held the position of President and CEO and also Executive Chairman at the healing place. Karyn holds a Bachelor’s degree from the Hiram College in Ohio majoring in English Language and Literature. Before holding the position of President at The Healing Place, she served as the Vice President for Mission Advancement for over 3 years. Marla holds a Bachelor’s degree from the Western Kentucky University where she majored in Public Relations, Advertising, and Applied Communication. She was with the Christian Academy School System in the Marketing/Communication department for 9 years before holding the position of Director of Communications at the facility in 2010.